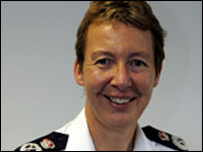 A chief constable has said her force needs more staff and resources to cope with the pressures caused by a sudden influx of migrant workers. Julie Spence of Cambridgeshire Police says a dramatic change in the make-up of the population in the county had meant new challenges for her officers. For example, in the space of one year, drink-drive figures showed a 17-fold rise in arrests of foreigners. 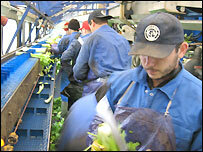 Since 2004, 83,000 East Europeans have registered to work in Eastern England. The Home Office said it has launched a forum to gauge concerns around the UK about the impact of migrants but cautioned against singling out one section of society and blaming it for crime. Figures compiled for the Cambridgeshire police force predict immigration will continue to have a greater impact on population growth than "natural" change. Introducing an in-depth report into the impact of migration, Mrs Spence said the county had changed dramatically. Police officers were now dealing with close to 100 languages without having the right skills - a situation which had landed the force with a translation bill of at least £800,000. The force had also seen rises in some crimes which could be directly associated with migration. These included drink-driving involving foreign nationals and the emergence of an "international dimension" to crimes including cannabis production, human trafficking and credit card skimming. Mrs Spence said knife crime was another problem area. She told BBC Radio 4's Today programme a lot of people who carried knives for protection in their home country believe they can do the same in the UK. "They don't necessarily come here to commit crime but they need to be told what they can and can't do." She added that ongoing feuds can also be brought into the country. "We recently had a murder that was Lithuanian on Lithuanian and it could have happened in Lithuania but it didn't," she said. Immigration Minister Liam Byrne said it was "vital" to consider the social impact of immigration when making migration decisions. "It's because we want to hear voices like Julie Spence's that I set up the Migrant Impacts Forum so public services can help shape our tough points system which is introduced in around 150 days' time. "It's also important that those we welcome into the UK understand our traditions, learn English and use our language. "Cambridgeshire has had something like a 20% boost in their funding in real terms over the last decade, and actually crime in Cambridgeshire is down, and down significantly, by about 20% in fact. "So I think we've just got to be quite careful about singling out any particular section of society and pinning the blame for crime on them." Peter Fahey of the Association of Chief Police Officers, who speaks on race and diversity, said police forces were facing a huge increase in budget for interpreters. "Not just because of foreign people being arrested, but obviously because of people¿ being victims of crime and we still need interpreters to get a full account of what's happened." In response to Mrs Spence's statement, Peter Conniff, chairman of the police authority in neighbouring county Bedfordshire expressed similar concerns. But BBC home affairs correspondent Andy Tighe said it was "unusual" that the Cambridgeshire force was prepared to make its controversial comments about the problems caused by the number of foreign workers living in the area. The force's report warned that officers had seen increases in "critical incidents" and tensions within some communities fuelled by local resentment towards newcomers. It said that outdated population figures meant the force was attempting to deal with new challenges with inadequate resources. That warning echoes concerns raised by some other local authorities which say levels of public service funding are not taking into account changes caused by immigration. Mrs Spence said: "We've been short-changed for a number of years, losing money as the population continues to grow. "The profile of the county has changed dramatically and this simply isn't taken into account when the government allocates funding. "While the economic benefits of growth are clear we need to maintain the basic public services infrastructure which means increasing the number of officers we have." Research into migrant workers has shown they are playing an increasingly pivotal role in some regions where employers say they struggle to recruit. The food industry is one of these key sectors, with major farming-related employers in Cambridgeshire and neighbouring counties actively seeking Eastern European workers to cover labour shortages.